The Moshi Monsters have splashed down at Sea Life Manchester this summer. So J and I went along to pay them a visit and join the Moshi Marine Force to learn more about our underwater world and to help in the search for the missing Moshlings. 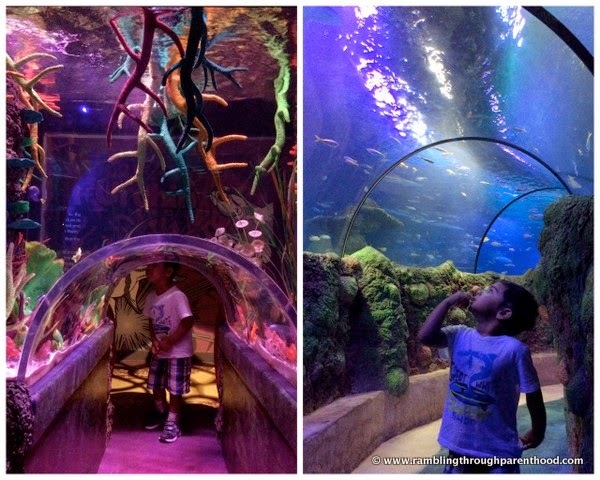 This was our first visit to Sea Life Manchester, so we were both looking forward to it with excitement. Sea Life is part of the Trafford Centre, so is very convenient to get to and has enough parking spaces to accommodate half of Manchester on a good day. J was given a smart little paper hat on arrival, which he promptly refused to put on his head. But he clung on possessively to his Moshi Monster activity book and Sea Life stamp book throughout the visit. We had an introductory talk on turtle conservation, including a fascinating holographic presentation to demonstrate the effect of modernisation on turtle habitat. Or how the turtles get misguided by artificial lighting and the disastrous effect this has on their survival. We then made our way into the main centre to start looking for the missing Moshlings. But we got distracted by the myriad of colours and the wonderful aquatic creatures that surrounded us. 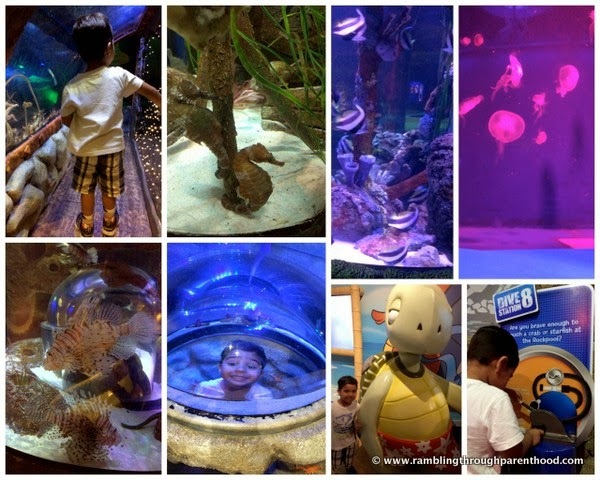 From sea horses and blubber fish to deep sea predators like the octopus and sharks, there was enough excitement to keep a lively three year old and his mother enthralled. J was particularly taken by the interactive jelly fish display, where he got to choose the background light colour from a range of rainbow shades. I was brave enough to touch a crab! 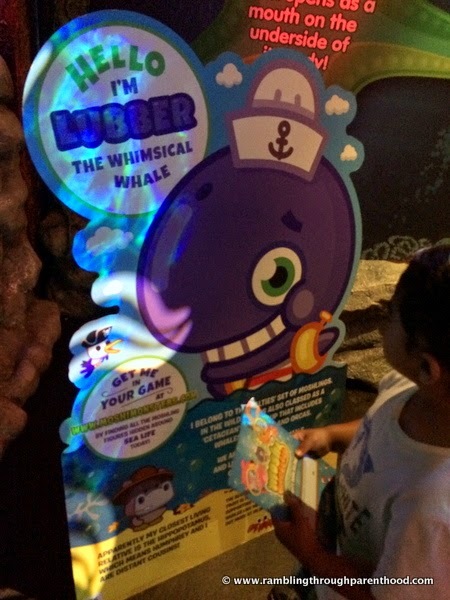 We soon came across a big cut-out of Lubber the Whimsical Whale, the brand new and exclusive Moshling, to remind us of our mission. We had signed up to the Moshi Marine Force, so we had to focus on the task on hand. To learn about all the amazing sea creatures that surround us, and to find the missing Moshlings. We looked everywhere, but the little Moshlings were so well hidden, it took us a very special meeting to actually start finding them. Half-way through our journey, Katsuma came to meet us all. Although J was initially extremely reluctant to go anywhere near him, he was eventually coaxed to go give Katsuma a cuddle. With his mother in tow, two steps behind him. So the only photo I managed was of Katsuma sans J. You do have the option to get your child professionally photographed with the visiting Moshi Monster, if you so wish. The meeting with Katsuma spurred us on. We set about finding the Moshlings with renewed determination, keeping our eyes peeled for clues. The clues were the stickers. 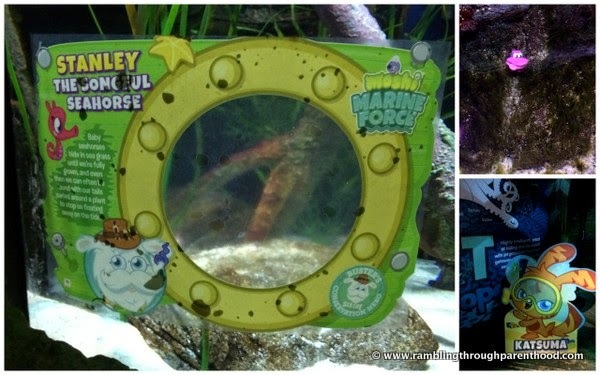 Some of the display tanks had special Buster Bumblechops stickers describing the Moshlings. You were sure to find a Moshling if you looked hard enough in that tank. 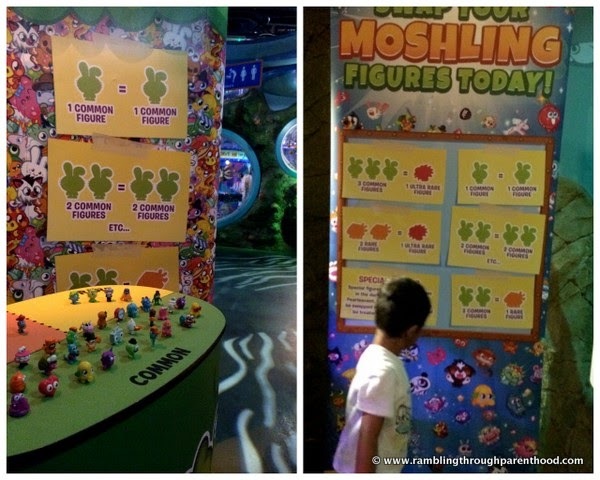 By the end of the tour, we managed to find half the missing Moshlings. We spotted Cali, Stanley and Shimmy. But I refuse to tell you where we found them. That would just spoil the fun for you and your little ones. 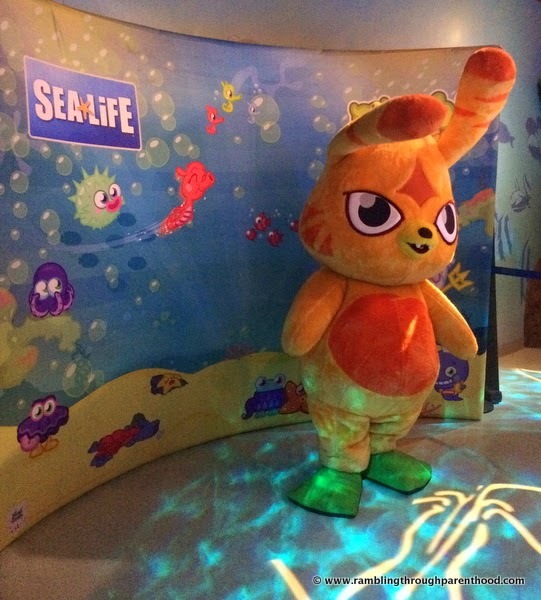 You can head over to Sea Life Manchester and go on your own quest as part of Buster's Sealife Conservation Squad to find the Moshlings and to learn about all that is being done to protect our sea creatures. While you are there, don't forget to visit the swap zone where you can swap your Moshling figures. The Moshi Monsters are in residence at Sea Life through the summer holidays. 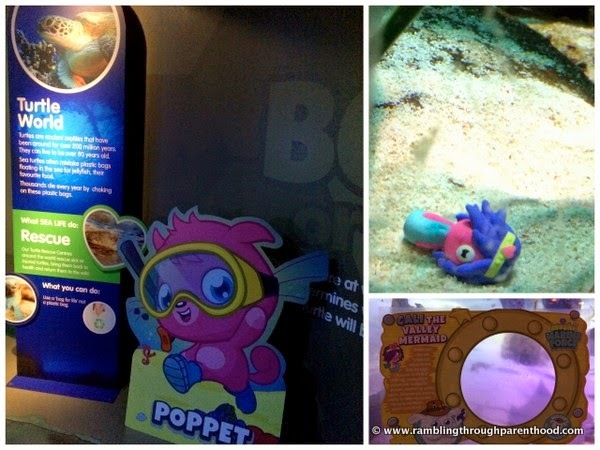 Disclaimer: We were offered tickets to visit the Moshi Monsters at Sea Life Manchester in exchange for a review. All opinions expressed are my own. What a fun day! I've never been to a Sea Life. Would be well up for taking my kids. Looking at your pictures the place looks amazing. It really looks like a perfect day out. My children are not into Moshi Monsters (yet!) but they do love a trip to the Sea Life Centre.